Bhaven N. Sampat Ph.D., M.Phil. Award Year: 2006 The National Institutes of Health (NIH) is the single largest sponsor of biomedical research in the world. It also enjoys a high level of bipartisan political support that is perhaps unrivaled in the health policy arena. Bhaven N. Sampat, Ph.D. is interested in how the NIH makes decisions about where to invest its funds and the effects of those decisions on the health of Americans. His project, The Political Economy of the National Institutes of Health, analyzes how the scientific community, disease interest groups, Congress, and the media interact to shape NIH allocation decisions. Sampat's research will provide a picture of NIH's funding patterns that should help broaden understanding of how research investment decisions are made, their results, and how they might be improved. His findings should interest an array of stakeholders in the nation's biomedical research enterprise, including scientists, academic institutions, private industry, policymakers, and the American public. 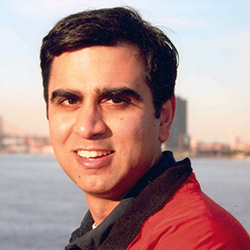 Bhaven N. Sampat is an economist by training, and an associate professor at the International Center for Health Outcomes and Innovation Research (InCHOIR) and the department of health policy and management at Columbia University's Mailman School of Public Health. His research focuses on issues at the intersection of health policy and innovation policy. He has written extensively on the effects of university patenting and "entrepreneurship" on academic medicine and biomedical research, and is actively involved in policy debates related to these issues. In addition to his investigator award project, he is currently examining the effects of new international patent laws on innovation and access to medicines in developing countries, the interactions between patent laws and FDA regulation in biopharmaceuticals, and challenges to evidence-based medicine in contexts of rapid technological change. Dr. Sampat was previously an assistant professor at the School of Public Policy at Georgia Tech, where he won the "Faculty Member of the Year" teaching award in 2001-2 and in 2002-3. From 2003 to 2005 he was an RWJF Scholar in Health Policy Research at the University of Michigan. Sampat, B. The Dismal Science, the Crown Jewel, and the Endless Frontier: An Economist Looks at the NIH, In The New Economics of Technology Policy, ed. Foray, D. Edward Elgar, 2009. Sampat, B.N., Buterbaugh, K., Perl, M. New Evidence on the Allocation of NIH Funds across Diseases Milbank Quarterly, 2013; 91(1): 163–185. Sampat, B.N., Lichtenberg, F.R. What are the Respective Roles of the Public and Private Sectors in Pharmaceutical Innovation? Health Affairs, Feb 2011, 30(2): 332-9. Sampat, B.N. Academic Patents and Access to Medicine in Developing Countries. AJPH, 2009, 99(1): 9-17.